Anne M. Tompkins is a partner in the firm's White Collar Defense and Investigations Group, resident in the Charlotte, N.C., and Washington, D.C., offices, and a member of the firm's Management Committee. Her practice focuses on representing companies and financial institutions, as well as their officers and directors in criminal, civil, and administrative investigations. Anne has extensive experience in crisis management, internal investigations, and enforcement matters across a variety of industries, including financial services, higher education and government contracting. Anne contributed to the leading treatise on corporate investigations, co-authoring a chapter titled “Individual Penalties and Third-Party Rights: The US Perspective” in Global Investigation Review’s “The Practitioner’s Guide to Global Investigations,” published in 2017. She also co-authored a chapter titled “Internal Investigations” in Business and Commercial Litigation in Federal Courts, Fourth Edition, published by Thomson Reuters in December 2016. Anne was the United States Attorney for the Western District of North Carolina from April 2010 to March 2015. She led numerous high-profile, complex criminal and civil investigations during her tenure, including a public corruption case involving the former mayor of Charlotte, the national security case against former general and CIA Director David Petraeus, numerous securities and financial fraud cases, as well as significant matters in the mortgage-backed securities business. Anne served on the Attorney General’s Advisory Committee, which acts on behalf of all of the other U.S. Attorneys in providing advice and counsel to the Attorney General. Anne was appointed Co-Chair of the Civil Rights Subcommittee and was an active member of the Health Care Fraud and White Collar Crime Subcommittees, giving her insight into the priorities and decision-making processes at the highest levels of the Department of Justice. Prior to her recent service as U.S. Attorney, Anne was a partner in the white collar defense practice of a national law firm. 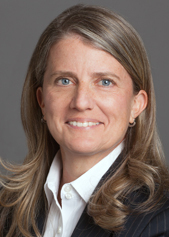 In her over 20 years’ experience in government and private practice, Anne has tried more than 30 cases to verdict, and successfully represented clients in among other matters, investigations involving the mortgage practices of a national homebuilder, Medicare reimbursements to a cardiac care hospital, and anti-kickback and reimbursement compliance at a national dialysis services provider. In addition, she has represented individuals in criminal investigations, including securities fraud, public corruption, and off-label marketing. Anne also served as an Assistant U.S. Attorney in the Western District of North Carolina, during which time she was detailed for eight months to the Regime Crimes Liaison Office in Baghdad, Iraq, where she assisted the Iraqi Special Tribunal investigation into international humanitarian crimes committed by members of the regime of Saddam Hussein. Anne is an adjunct professor at the University of North Carolina at Charlotte, where she teaches a course entitled “Justice, Law and Order – Beyond the Headlines.” She received her law degree from the University of North Carolina School of Law. She received a Master of Public Administration degree from the University of North Carolina at Chapel Hill, and a Bachelor of Arts from the University of North Carolina at Charlotte. Common Trading Practices: Disruptive or Not?